I know, it's been a long time since I posted here. However, that's with good reason. For about eighteen months I've been busy on two writing projects. In November 2017, one of those took me to the BFI National Archives in Berkhamsted on the trail of a British director's archived papers. However, I can't say more at this point as the results are awaiting publication. You'll have to wait and see. However, I had to juggle this in the middle of research for another project. This started with a pitch to Obverse Books in August 2017 for a volume in their ongoing book-length studies of single Doctor Who stories. It was a proposal to write a book about Stephen Gallagher's season 18 story, Warriors' Gate. With interesting stories about its production and a narrative and visual presentation ripe for interpretation, Gallagher's four-part serial offered something of a challenge. Obverse were willing to let me take that on. 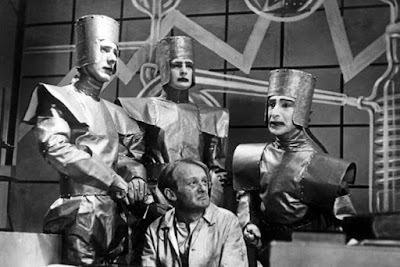 Originally posted on the original Moviemail website (now sadly revamped and no longer providing the same opportunity to write such pieces), this was a series of blogs tracing the apocalyptic themes of British science fiction television. 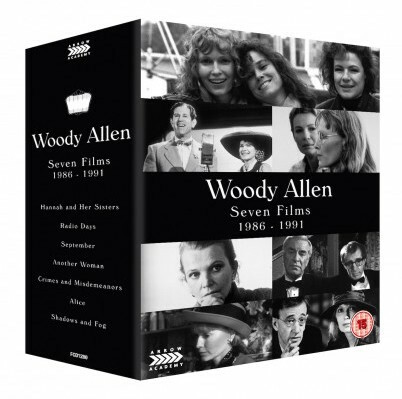 It was published between August and December 2014 to tie in with the BFI’s major retrospective and celebration of the science fiction genre Sci-Fi: Days of Fear and Wonder. These are the longer, uncut versions of the original posts with minor additions and corrections. 10TH ANNIVERSARY COMPETITION: Win Doctor Who: City of Death and Myths & Legends books! Continuing our 10th Anniversary celebrations, we've got more Doctor Who books to giveaway. 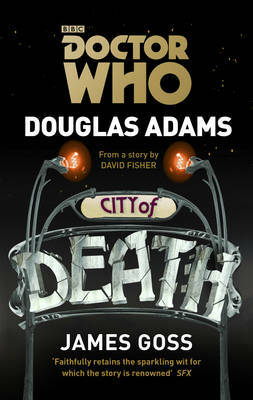 This week we have a paperback edition of James Goss' novelisation of Douglas Adams' celebrated story City of Death. 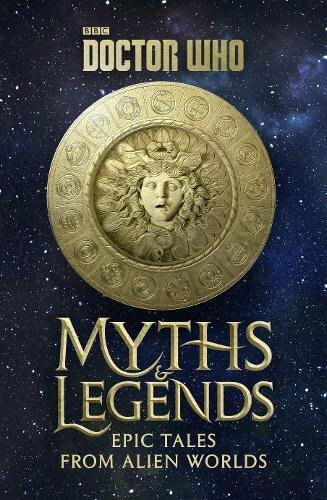 Bundled with this is a hardback copy of Myths & Legends: Epic Tales from Alien Worlds by Richard Dinnick. The Doctor takes Romana on holiday in Paris—a city which, like a fine wine, has a bouquet all of its own. Especially if you visit during one of the vintage years. But the TARDIS takes them to 1979, a year whose vintage is soured by cracks in the fabric of time. Soon they are embroiled in an alien scheme which encompasses home-made time machines, the theft of the Mona Lisa, the resurrection of the much-feared Jagaroth race, and the beginning (and possibly the end) of all life on Earth. It’s up to the Doctor and Romana to thwart the machinations of the suave, mysterious Count Scarlioni—all twelve of him—if the human race has any chance of survival. Written by Richard Dinnick and brilliantly illustrated by Adrian Salmon, Doctor Who - Myths and Legends takes traditional legends and gives them a Time Lord twist. Cathode Ray Tube has one copy of each to give away to one lucky winner courtesy of BBC Books and Penguin Random House. Simply answer the question below and submit your entry via email. - This competition is open to residents of the UK only but not to employees of BBC Books and Penguin Random House or their agents. - The winner will be contacted by email and the books will be sent by first class post to the winner after the competition closes. Question: In the televised City of Death which two actors make a cameo appearance as eccentric art dealers? Email your answer to the question above, with your name and address, including post code, and we'll enter you into the prize draw. 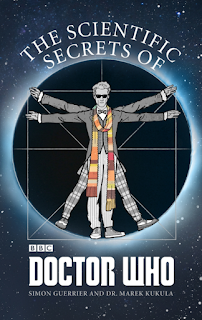 10TH ANNIVERSARY COMPETITION: Doctor Who books to be won! Well, readers. It's hard to believe that this blog has been around for ten years. Yes, TEN years. Before we break out the champers and the cake please indulge me as I update you on my latest work. Once we've got that sorted, then we'll properly celebrate with a series of competitions, the first of which is announced below. Although I've not written anything new specifically for the blog since September 2015 (the review of the Bernard Wilkie book if we're being pedantic) I have been rather busy since my Christmas update. I've just finished reviewing all 18 episodes of Twin Peaks: The Return for Frame Rated and I'll be doing much the same for Outlander Season 3 over the next few months. 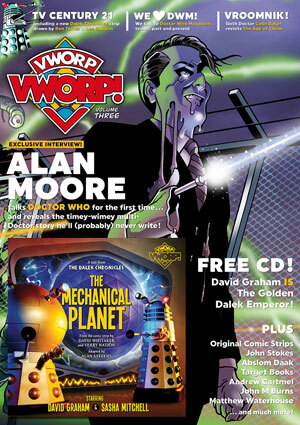 A lovely piece I wrote some time ago about the Doctor Who comic 'The Age of Chaos', published by Marvel back in 1994 and written by none other than Sixie himself, Colin Baker, has recently been published in the third issue of that extraordinary fanzine Vworp, Vworp! It was an honour to feature in this stunning publication and you can purchase it from their site. I have been publishing on Medium recently and also judging whether to move Cathode Ray Tube over to that platform. 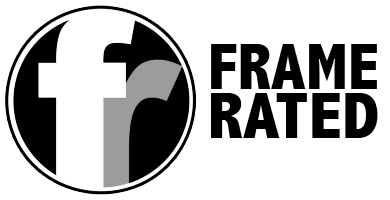 A couple of reviews from the archive have been dusted down and re-published over there and you can keep an eye on developments on my Medium page. Please give me a follow there. There are a couple of projects that I can't talk about at the moment as they are either not confirmed yet or, if they have been agreed in principle, I won't announce anything until the good people I'm working with deem it appropriate to do so. 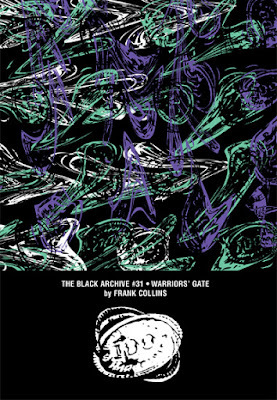 I've been clearing out the Cathode Ray Tube cupboards and thanks to BBC Books I'm able to offer some giveaways to my readers, particularly those of whom have stuck with me since the beginning, way back when I published the first review here on the 8th September 2007. Let's celebrate! This weekend I'm giving away a bundle of two books: DOCTOR WHO: THE LEGENDS OF ASHILDR anthology and THE SCIENTIFIC SECRETS OF DOCTOR WHO by Simon Guerrier and Dr. Marek Kukula. Ashildr, a young Viking girl, died helping the Doctor and Clara to save the village she loved. And for her heroism, the Doctor used alien technology to bring her back to life. Ashildr is now immortal – The Woman Who Lived. Since that day, Ashildr has kept journals to chronicle her extraordinary life. 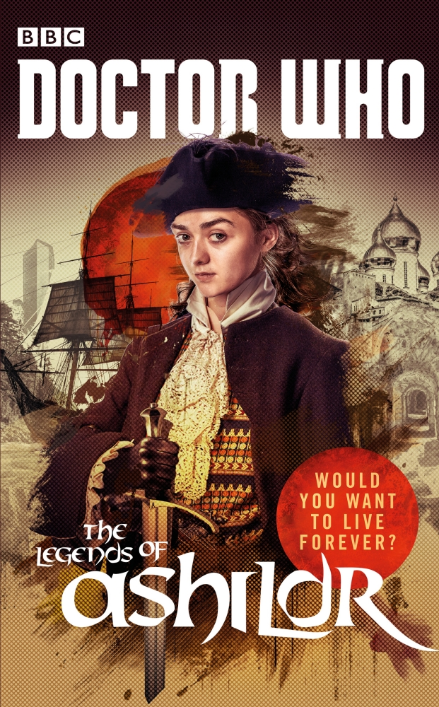 An original novel written collaboratively by James Goss, Jenny T. Colgan, David Llewellyn and Justin Richards featuring the Twelfth Doctor as played by Peter Capaldi, and Ashildr as played by Maisie Williams. 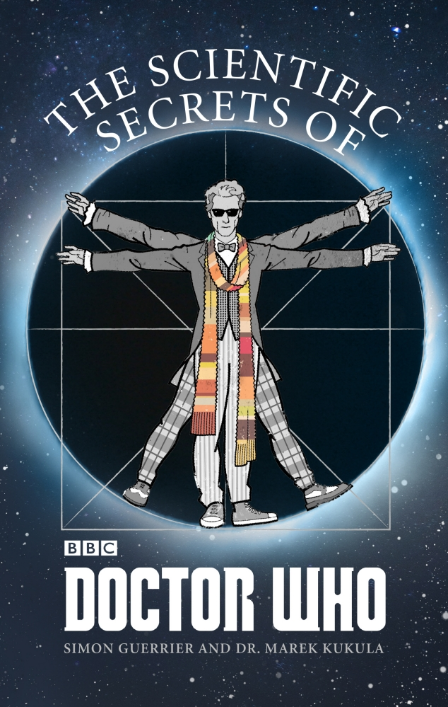 The Scientific Secrets of Doctor Who is a mind-bending blend of story and science that will help you see Doctor Who in a whole new light, weaving together a series of all-new adventures, featuring every incarnation of the Doctor and written by many recognised and established Doctor Who authors. With commentary that explores the possibilities of time travel, life on other planets, artificial intelligence, parallel universes and more, Simon Guerrier and Dr Marek Kukula show how Doctor Who uses science to inform its unique style of storytelling – and just how close it has often come to predicting future scientific discoveries. Because anything could be out there. And going out there is the only way to learn what it is. Question: In the Doctor Who universe what's the name of the physical effect that occurs when two versions of the same person from different time periods make physical contact? Yes, my lovely readers I am still here. I know the Cathode Ray Tube site has been silent for well over a year but I just thought you might like to know that I haven't been idle. I've just been out and about writing for other sites and publications in the brief pauses I can find during my full-time job. I'd love to write more and, in fact, I'd like nothing better than to write every day and earn a living from it but my job is all-consuming of my time and energy at the moment. However, more paid work would be lovely and I remain, as always, a writer for hire. So... by way of promoting my wares here's a brief run down of where you can find my latest keyboard twiddlings. Click above for ALL of the Series 9 episode and 2015's festive special coverage at the splendid film and television review site Frame Rated posted between September and December 2015. Plus there's a three-part overview of Series 8 too! More Doctor Who soon. Outlander Seasons One and Two, Penny Dreadful Seasons Two and Three and The Man in the High Castle Season One and Sherlock: The Abominable Bride are just some of the other shows I've covered in the last year. Latest The Man in the High Castle and Sherlock reviews are forthcoming. For the first pressing of the Blu-ray of Count Yorga, Vampire and The Return of Count Yorga, released in August 2016, the enclosed booklet featured my essay about the films: A Tale of Unspeakable Cravings. 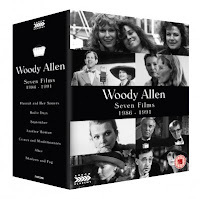 Due out in February 2017, this Blu-ray box set containing Hannah and Her Sisters, Radio Days, September, Another Woman, Crimes and Misdemeanors, Alice and Shadows and Fog features a book of new writing about the films. I've completed an essay 'The air is full of electricity' about September (1987), which will also gain a standalone Blu-ray release in March 2017. Cathode Ray Tube remains blessed with visitors even though nothing new has been posted for some time and I remain ever grateful many of you still enjoy the material archived here. If I can overcome a few personal obstacles I hope I can be back here with new posts in 2017. Until then, I wish all readers a Merry Christmas and a Happy New Year. Two names synonymous with the pioneering days of creating visual effects for television are Bernard Wilkie and Jack Kine. Back in the 1950s, they were the Visual Effects Department of the BBC even though at the time it wasn't even known as that, BBC Television Centre was yet to be built and neither of them had created effects for television before. 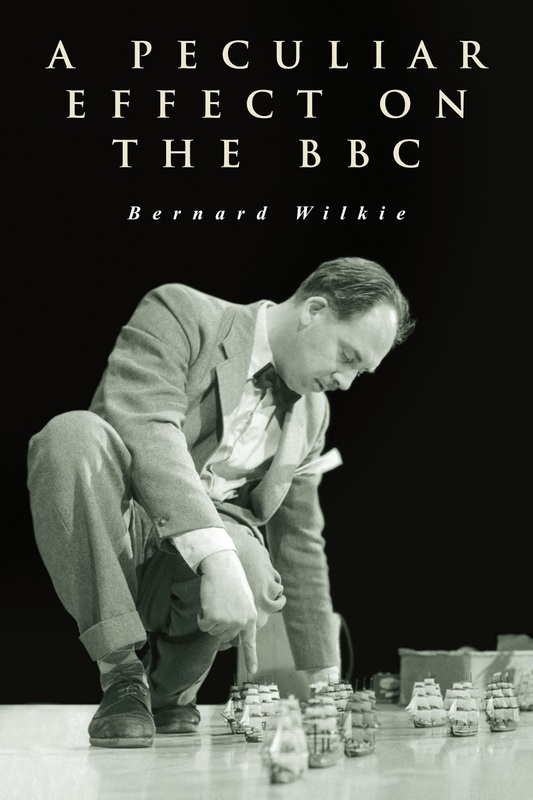 Bernard Wilkie's previously unpublished memoir, written in the 1990s, arrives from Miwk Publishing this September. Although Wilkie wrote The Technique of Special Effects in Television in 1971 (considered the effects industry bible by many) and his notes and diaries were accessed for Mat Irvine and Mike Tucker's excellent BBC VFX: The Story of the BBC Visual Effects Department published in 2010, this book provides an in depth, illuminating and often hilarious account of his profession directly from the horse's mouth, as it were. 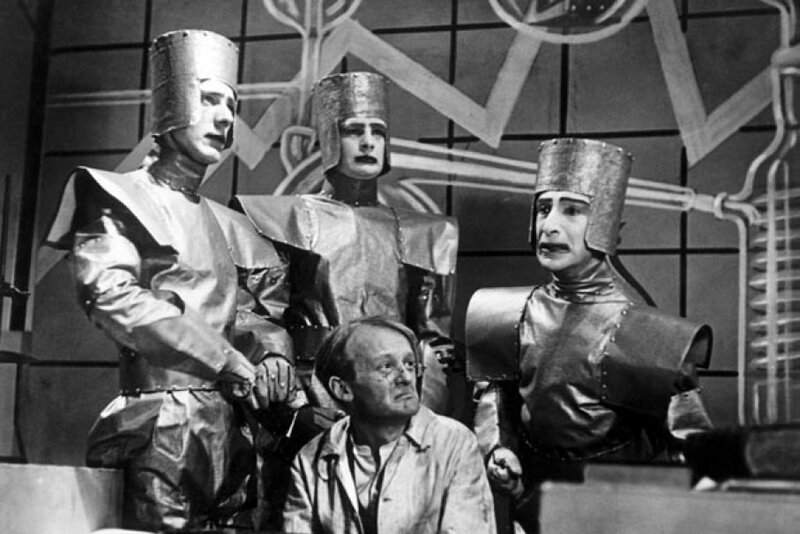 He takes us, via some amusing detours, from his inauspicious introduction to fibreglass techniques during his first interview with Richard Levin, the BBC's Head of Television Design, in 1954 to his retirement from the BBC in 1978 shortly after overseeing the Visual Effects Department's move to Western Avenue in Acton. As he told the Radio Times for its Doctor Who 10th Anniversary Special in 1973: "Special effects are a combination of engineering and artistry, with a spot of conjuring thrown in." Conjuring is from whence Wilkie's inventive and creative impulses seem to have sprung. The trouble is, he wasn't terribly good at it.